By end user, neurology centers, ambulatory surgical centers, hospitals, clinics, and ambulances can be some of the major segments of the market. Based on procedure, invasive and non-invasive can be the two broad categories. By type of disease, traumatic brain injuries, epilepsy, Huntington’s disease, sleep disorders, strokes, dementia, headache disorders, and Parkinson’s disease can be the key segments. 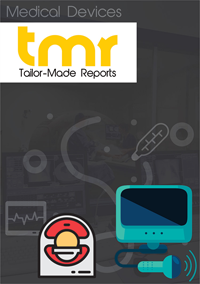 Growing incidence of neurological and psychotic conditions, greater number of traumatic brain injuries, increasing awareness pertaining to neurodegenerative diseases and technological breakthroughs in the domain of brain monitoring have been the key growth drivers of the global brain monitoring market. The demand for non-invasive brain monitoring procedures has been escalating, promoting the market’s growth. Greater safety, reduced costs, enhanced speed, and convenience of these methods are some prominent advantages of non-invasive brain monitoring. Similarly, a novel technology developed at Northwestern’s Kellogg School of Management assessed the brain waves of movie trailer viewers to predict the success of that particular film at the box office. The surprisingly accurate results of the study can aid researchers determine what content is most appealing, memorable, and engaging to consumers. This new technique that uses brain monitoring was developed by neuroscience and business professor, Moran Cerf in collaboration with neuroscience Ph.D. researcher Sam Barnett. They are working on how it can be used in sports stadiums, political campaigns, and classroom environments.